Shafi Inamdar was 50 years, 4 months	& 21 days old age. Shafi Inamdar was born on 23-10-1945 in Ratnagiri in the state of Maharashtra, India. 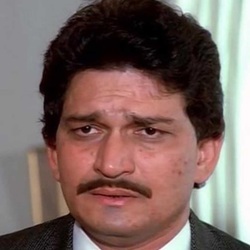 He was an Indian Film Actor, Film Director, Film Producer & Television Actor. He died on 13-03-1996 in Mumbai in the state of Maharashtra, India at the age of 50. He was married to an actress Bhakti Barve till his death.